The term health care mobile app development has emerged not long ago. It was introduced to the public as response to the worldwide digitization of almost each and every aspect of people’s lives, such as the main spheres, health and wellness. It is no wonder that mobile apps in the industry are in demand these days, not just among patients but physicians as well. Here is how mobile application trends are changing the healthcare industry. These days, in addition to affordable health insurance and medical insurance, to keep pace with technology, there are now numerous health care mobile applications. Without doubt, health is everything. People’s health is always a cause for concern and should always be top priority. The hospital is one place that nobody talks about positively, but is almost inevitable to visit for check-ups or ailment treatment. The most beneficial offering of technology is the mobile app technology. Technology and science to hand-in-hand in terms of bringing out invention for the betterment of patients. The following are some benefits that could mobile applications could provide. Easy care access. A health care mobile application reduces the distance between patients and doctors, letting patients consult over a mobile application platform and visit only once recommend by the physician. This definitely saves the unnecessary visits to the doctor’s clinic, not only saving time but money as well. Engagement of patient. The long queues at the clinic leaves doctors with very limited time to have a warm relationship with patients. Also, it lacks transparency of quality and cost, leaving a hole in the patient’s loyalty scale. An app for healthcare works wonders for patients, informing them regarding any delay in the appointment or to fix an appointment in real time. Also, mobile applications work in favor of the elderly or working professionals who do not usually get the time to be updated with pill schedule or upcoming appointment to the doctor. The functionality of an app works as a personal assistant to the patient, reminding of next appointment and when pill should be taken. Putting a stop to Medicare fraud. There are a lot of brokers sitting at each hospital, fooling local and international patients by telling them to fix their appointment and who charge hefty commission to the medical staff. With a mobile application however, patients need not depend on a mediator to reach medical facilities. Furthermore, they could make an appointment directly with doctors over the app platform and will get authenticated medical bills. Be with them twenty-four hours a day, seven days a week. In general, after leaving the hospital, a patient is left with paper, detailing medicines and the referred treatment. However, any other instruction given by the physician isn’t easy to be captured in the memory. A health care mobile app could help a patient remember most urgent instructions, such as taking pills, monitoring side effects as well as update the doctor in no time. Determine the target audience. It’s one of the most critical factors in the app development process. Explore more on the target user base. Determine the reason to create an application. A lot of mobile applications are available in the app market but rarely used. For a developer, one should understand why an app is developed and how it benefits users. It should be personalized enough. The app content must be specific, not just informative. Users could grab other informative material on the web, thus the app must deliver something that’s different that users and patients could relate to. Direct communication. Communication is another important aspect that sooths down the mental state of a patient. The healthcare app should offer a communication channel between doctor and patient, via the more constructed form of messages and emails. The evolving needs and mobile technology has paved the way for new applications that are rapidly changing the healthcare industry. Doctor OnDemand. Is an app that lets a patient see a doctor for video consultation, get the doctor write a prescription or have questions answered. New to the app is the ability of seeing a psychologies and having lactation consultation. Certified physicians could treat non-emergency issues like flu and cold symptoms, upper respiratory infections, UTI, sports injuries, allergies, heart burn, back pain and most pediatric concerns. HealthTap. Is an application and website which lets a patient have a virtual medical appointment with a physician or just have questions answered. HelloMD. The application specializes in searching for specialists, but not in getting immediate care. When a patient needs to see an expert, like a radiologist or neurologist, for a certain condition the application connects with the right certified surgeon or doctor. An appointment that’s usually set up within twenty-four hours could take place on the online platform through video call. Microsoft HealthVault. It is an online service as well as a mobile app wherein a patient could keep his or her own medical records updated and safe and share with healthcare professionals in a secure manner. 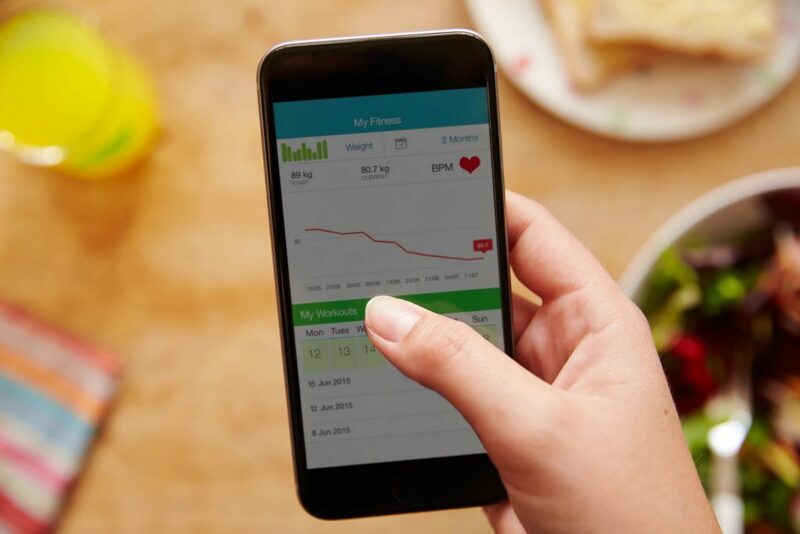 It’s been around for years, with a dedicated following, such as people with chronic conditions who should track their daily health metrics, like glucose, blood pressure and oxygen saturation. LiveHealth Online. This is another telemedicine service that lets one see a doctor through video call and even have a prescription written based on the virtual visit where it is allowed. It is important to put emphasis that development of a healthcare mobile app is one of the leading spheres these days. It opens up various opportunities for medical companies, their owners, physicians and nurses. The future of health care applications is now. It’s high time to join the trend to develop an app for patients and doctors.